Contact Morag to book your holiday now. All electric and linen is provided for your comfort and convenience throughout your stay. A non-refundable deposit of £100 is required upon booking. Balance is payable four weeks before arrival. For late bookings, payment is required in full. Weeks run from Saturday to Saturday. Short breaks available out of season, from October – March. Contact Morag with any queries. On day of arrival, please arrive after 3pm. On day of departure premises must be vacated by 11am. Cancellations. In the unfortunate event that you might have to cancel a booking, we will endeavour to re-sell the dates booked and refund your money in full. If, however, we are unable to do this, then money will be refunded less the deposit. 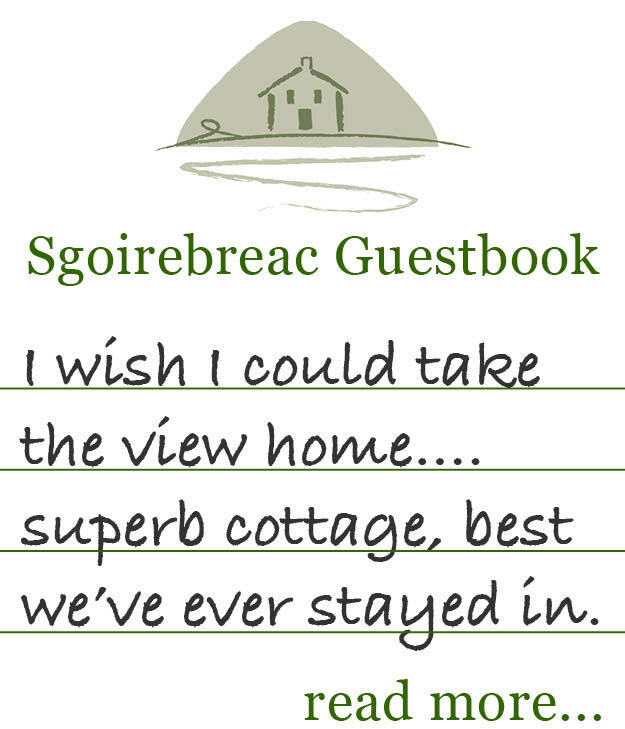 Come and stay at Sgoirebreac Cottage, centrally situated self catering accommodation for your holiday on the Isle of Skye. Our self catering cottage in Sconser is the ideal base from which to explore the Isle of Skye and all it has to offer.